ChangeNOW will be distributing 30 000 000 NOW tokens over a period of 30 weeks (1 000 000 every Monday). Each week participating users will receive NOW tokens in proportion to their transactional amount relative to the total participant transactional amount that week. For affiliate partners, ChangeNOW will also be distributing 30 000 000 NOW tokens (1 000 000 each week) over the same 30 week period, proportional to their turnover. Tokens will be sent to their ETH wallet. The ChangeNOW team strongly believes in the exciting future prospects of EOS blockchain. 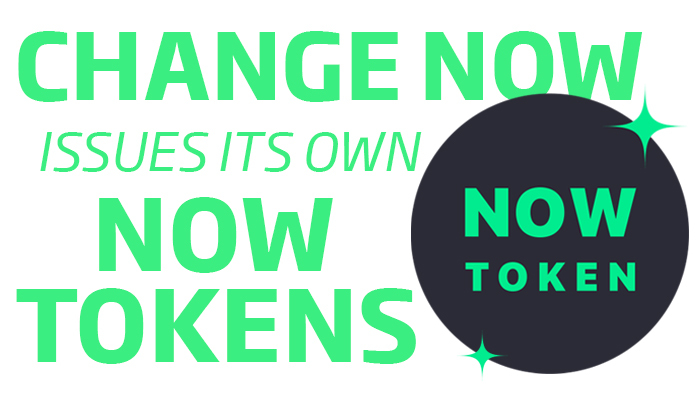 Therefore ChangeNOW is considering the transfer of NOW Tokens to the EOS network after the launch of its mainnet, providing a 1:1 ratio for ERC20 token holders. ChangeNOW will provide a swap mechanism to exchange ERC20 tokens to EOS-based tokens. In order to encourage crypto enthusiasts and enlarge the community, ChangeNOW will run a bounty campaign. The participants will be rewarded with ChangeNOW tokens for finding bugs, content creation and other activities. The bounty starts on May 21, alongside the launch of NOW tokens, and ends when all allocated tokens have been spent. The gradual airdrop will start on May 28, 2018. You can find the Roadmap, Whitepaper and any other information at https://changenow.io/tokens. Follow ChangeNOW on Twitter to not miss anything!